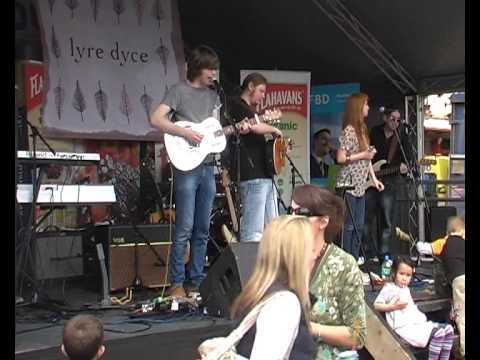 Lyre Dyce are a Waterford based alternative folk band formed by cousins Cyril and Ross Stack and later joined by friends Barry Moore, Katie Power, Shane Collender and Paddy Moloney. The group launched their debut, self-titled EP in March of this year to rave reviews. Three singles, 'Dog Blues', 'Patient Man', and 'Grace and Honesty' have received extensive airplay on various national radio stations, including "WLR FM", "Beat 102 103" and "Radio Kerry". This EP was chosen by Jackie Hayden as his 'Pick of the Fortnight' in a recent edition of "Hot Press" magazine.